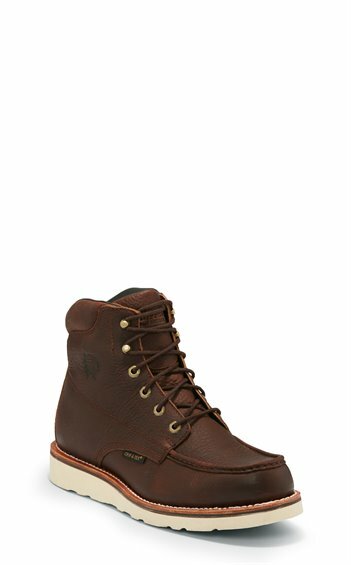 The 6" Edge Walker Waterproof Moc Toe Lace-up boot in Haystack is waterproof and resilient. It's designed with a Ortholite® removable insert insole to give your feet maximum comfort throughout your busy day. Featuring a Newflex® compound outsole, Dri-Lex® 2000 lining, non-tarnishable antique brass grommets and waxed Sta-Tied laces. This boot is ASTM F2413-11 Electrical Hazard rated.